Vanguard Cleaning of Minnesota |Dependable customized commercial cleaning services. Vanguard Cleaning Systems of Minnesota offers a wide range of commercial cleaning and janitorial services for commercial offices, multi-tenant office buildings, places of worship, school and daycare centers, dental offices and more. 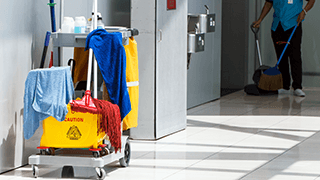 There are many things to consider before choosing a commercial cleaning service that’s right for your building and the people who spend time there. For example, what’s right for a professional office is not a good fit for a school.